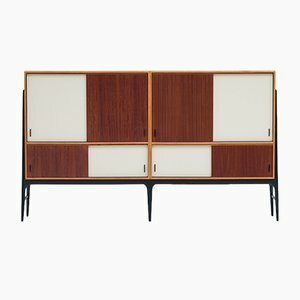 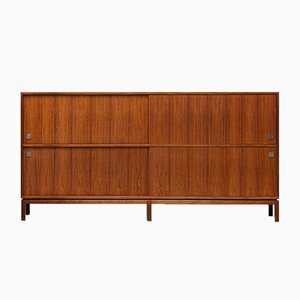 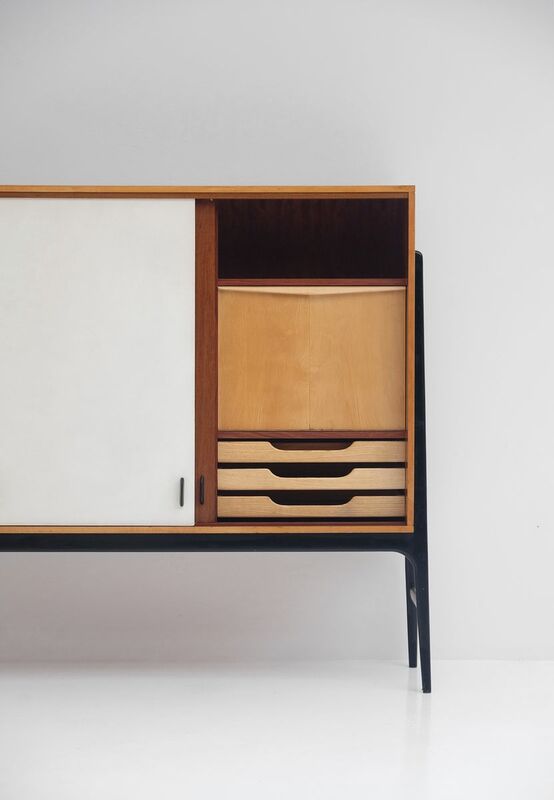 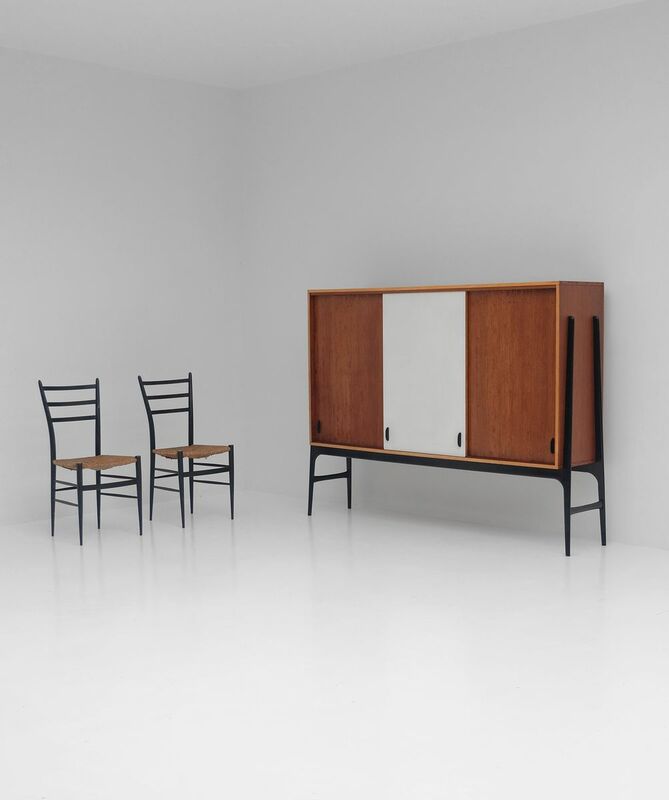 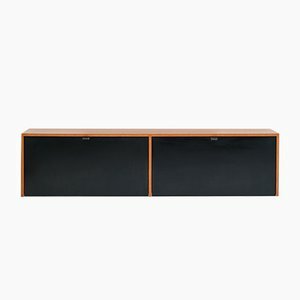 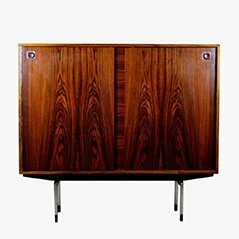 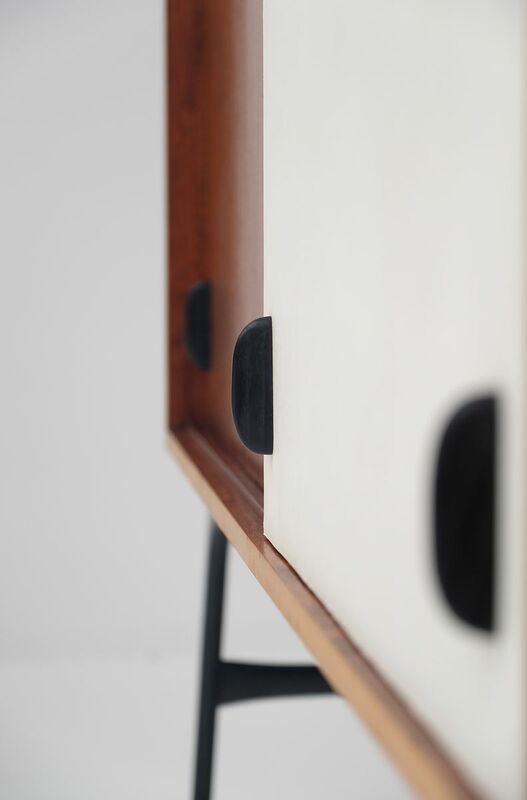 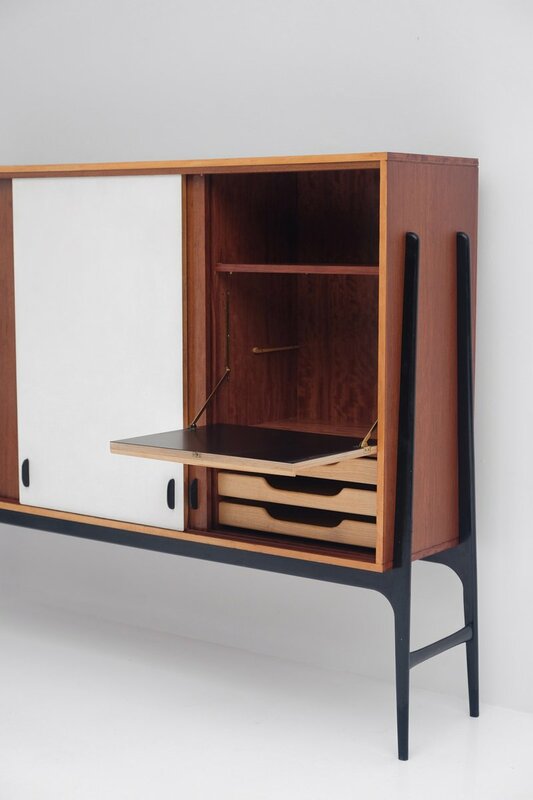 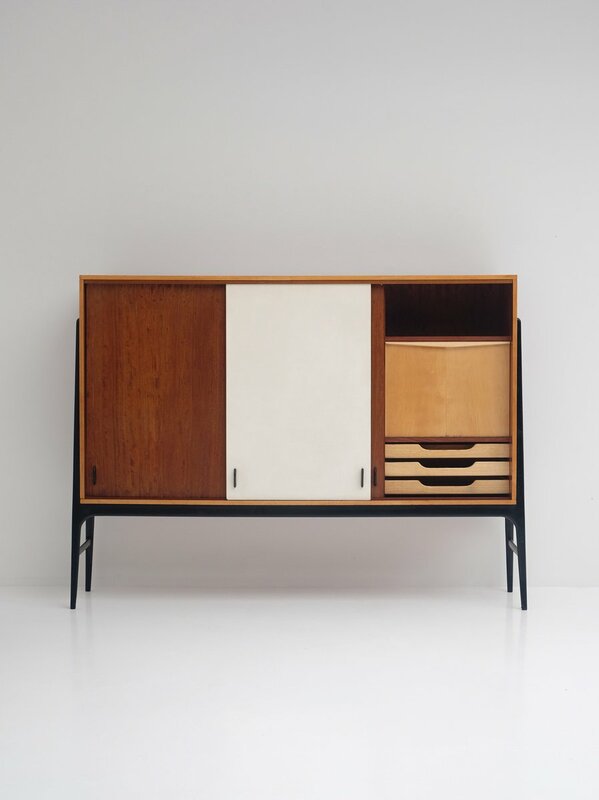 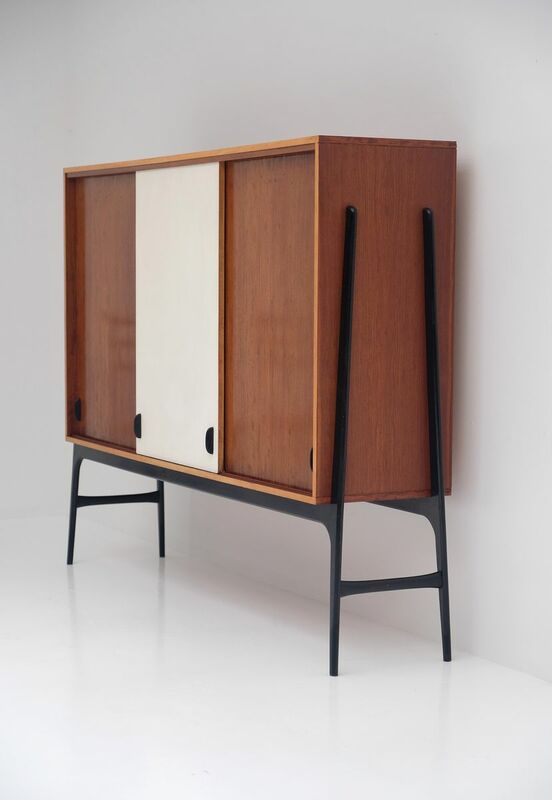 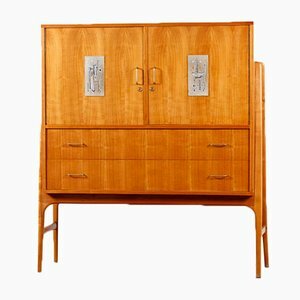 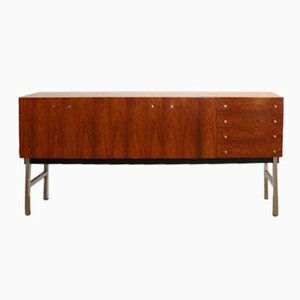 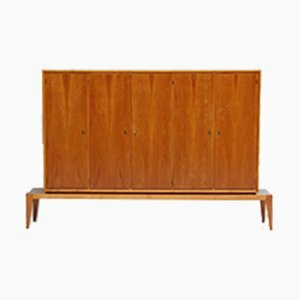 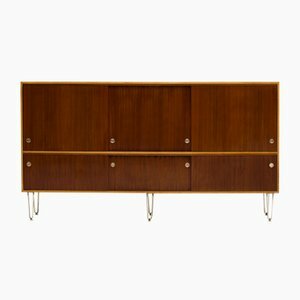 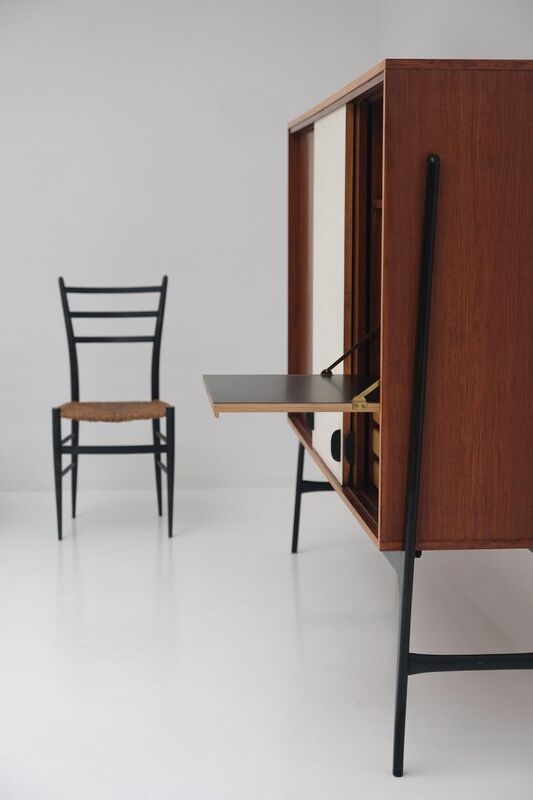 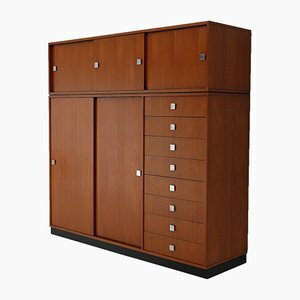 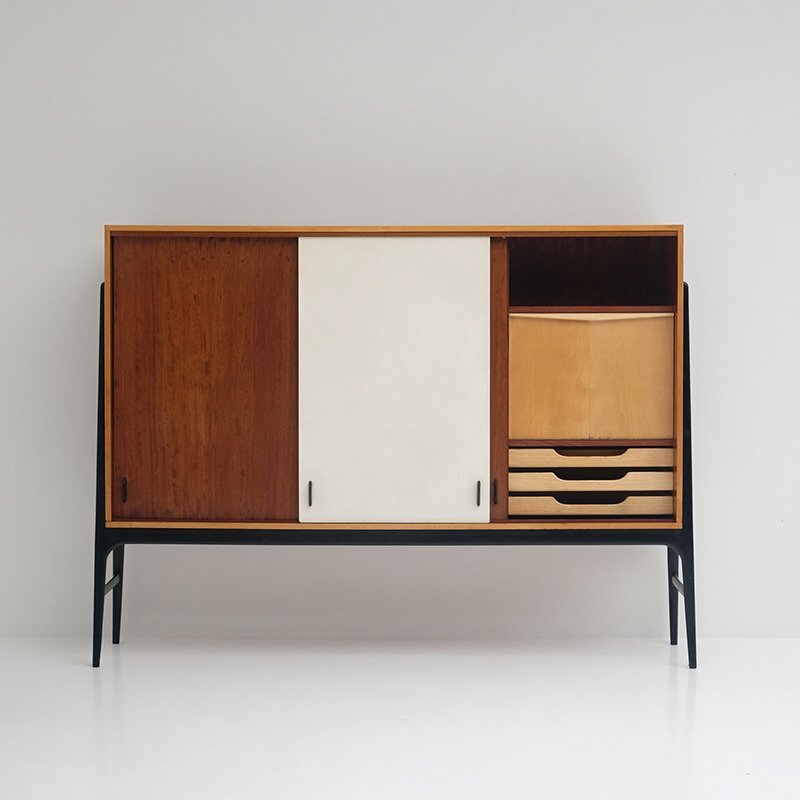 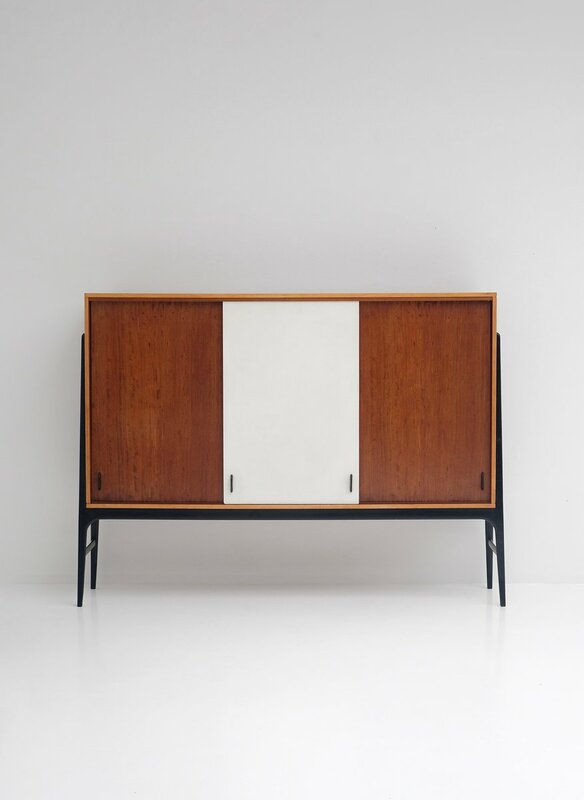 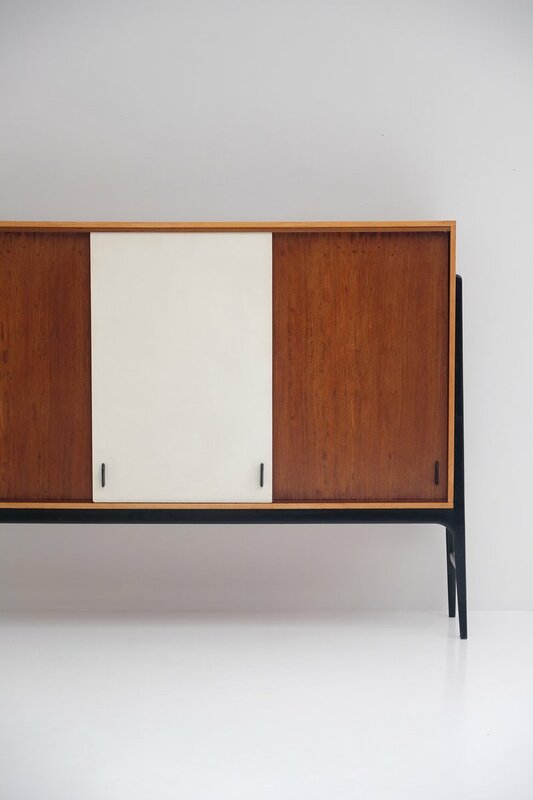 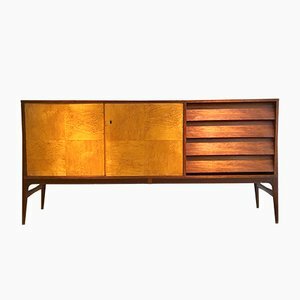 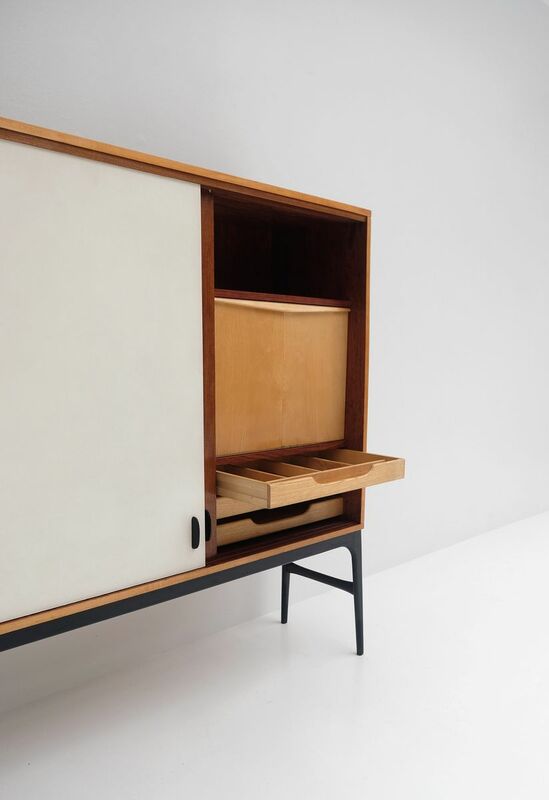 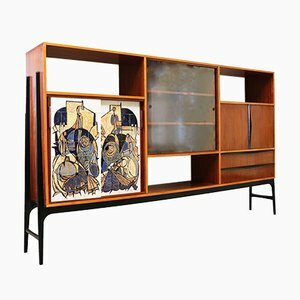 This rare highboard was designed by Alfred Hendrickx for Belform in the 1950s. 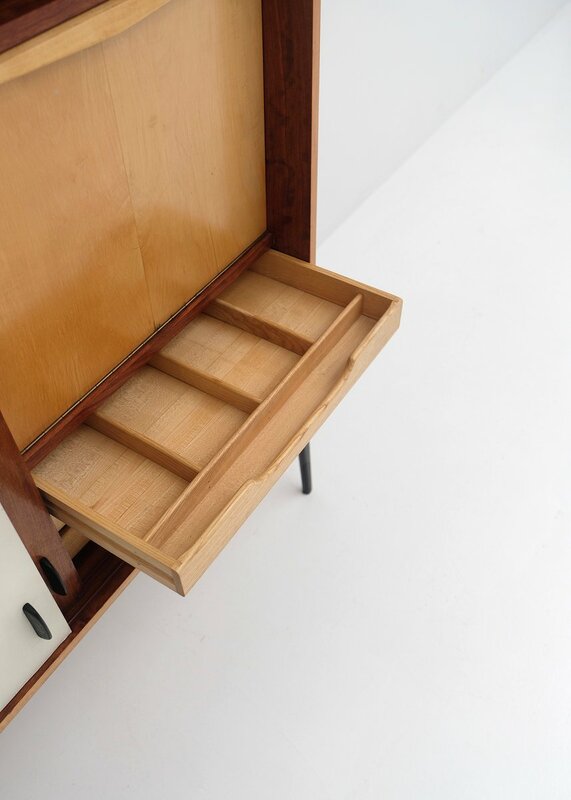 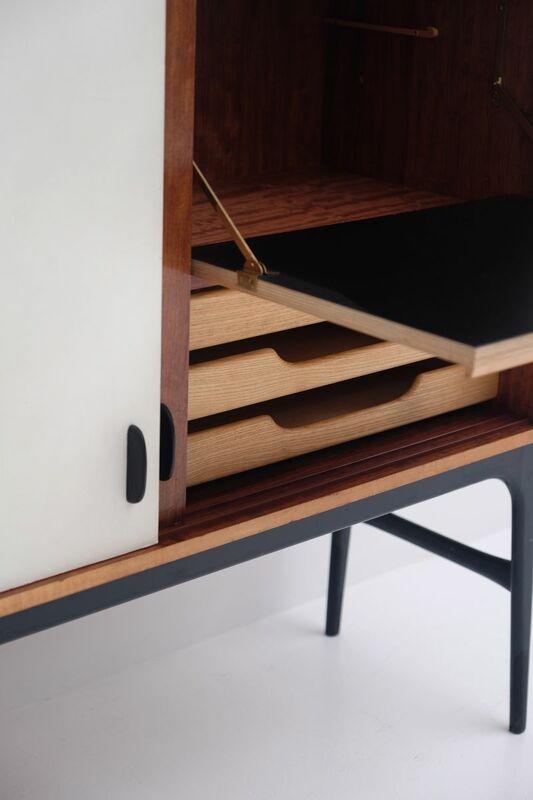 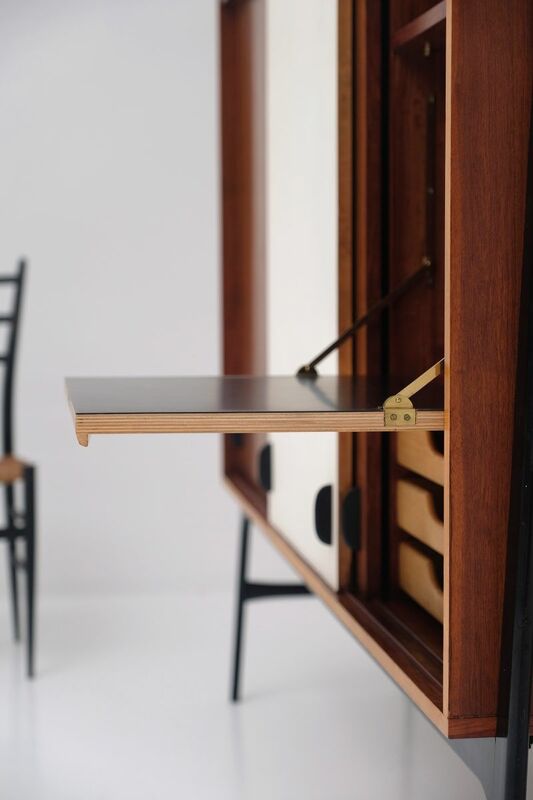 The three sliding doors hold shelves, three drawers, and a secretaire, all well kept and nicely detailed. 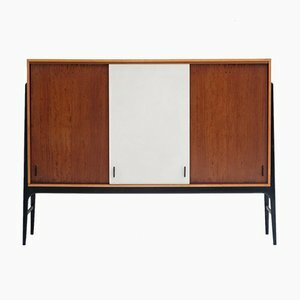 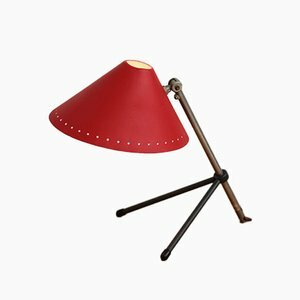 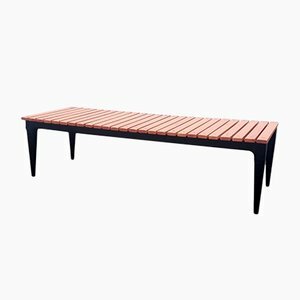 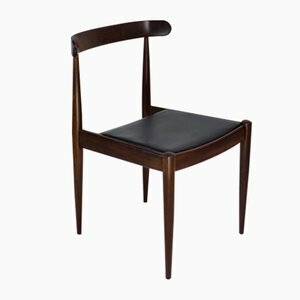 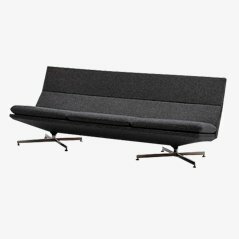 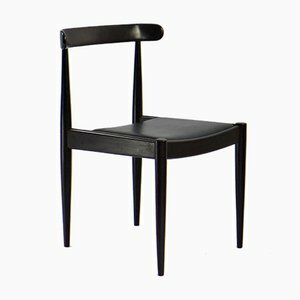 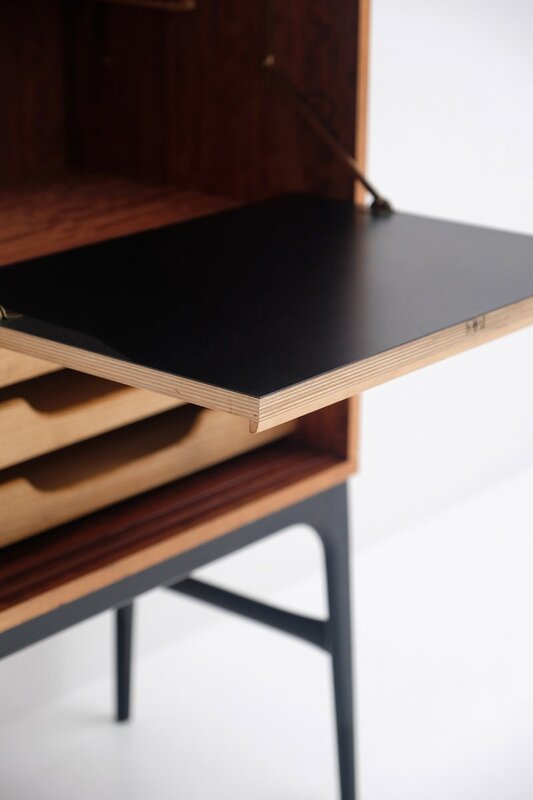 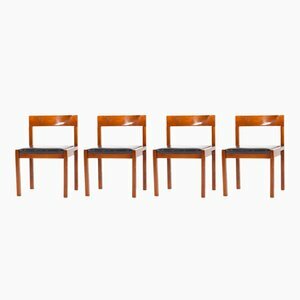 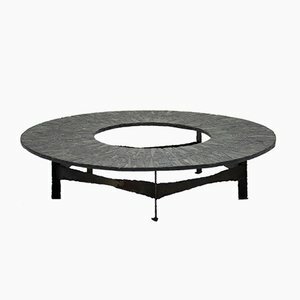 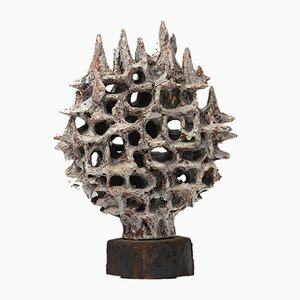 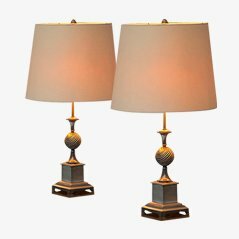 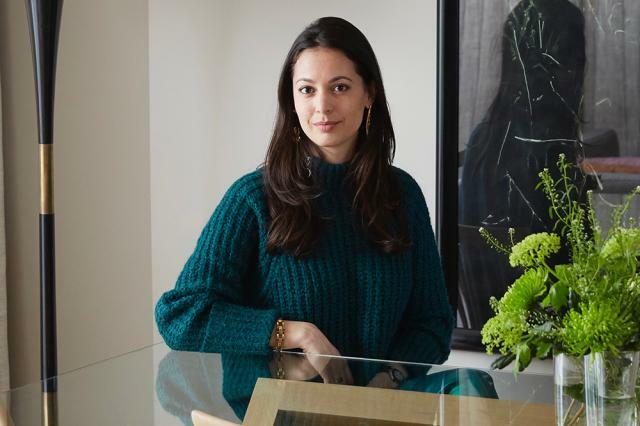 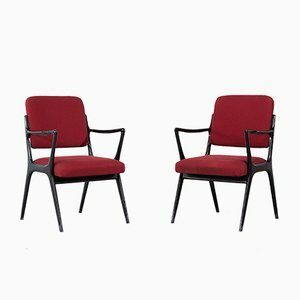 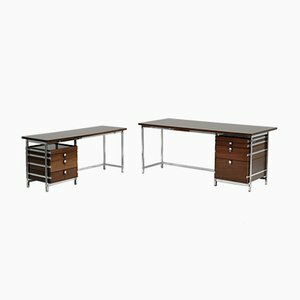 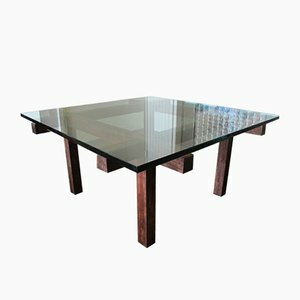 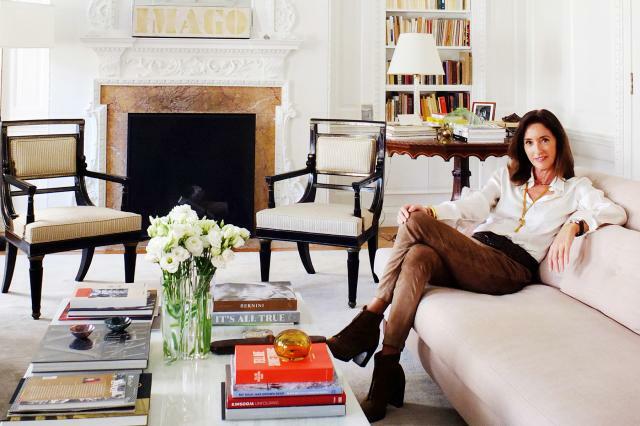 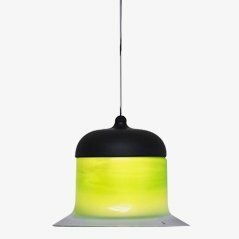 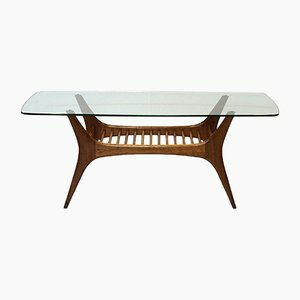 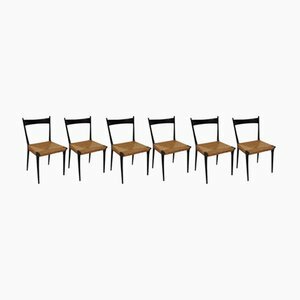 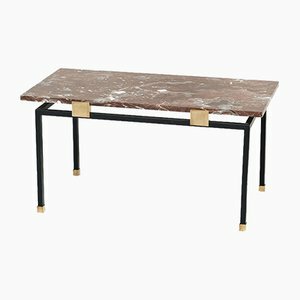 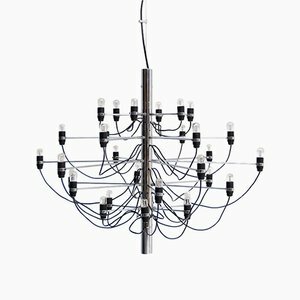 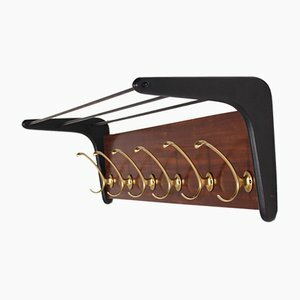 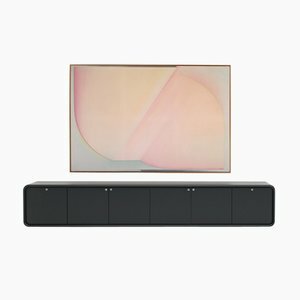 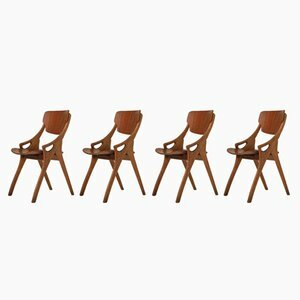 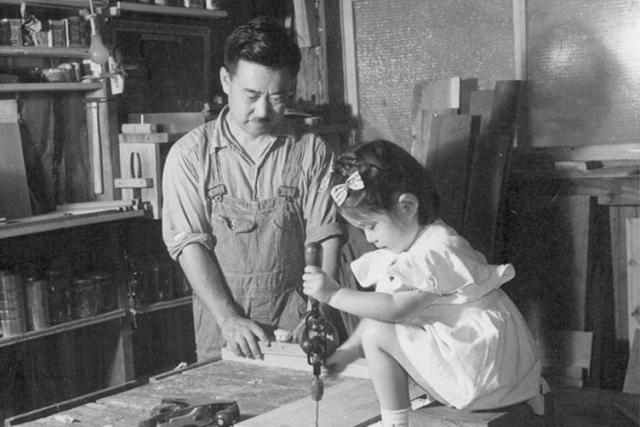 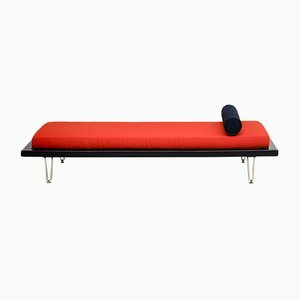 The piece features a black-lacquered wooden frame with mahogany laminate and wooden feet.